Another week, another bunch of lawsuits between Samsung and Apple. Earlier this month Samsung filed suit for sales injunctions on the iPhone 4S in France and Italy. Now, adding to this ongoing "War of the Gargantuas," Australia and Japan have been added to the mix. According to The Wall Street Journal, preliminary injunctions have been filed against the sales of the iPhone 4S in the Tokyo District Court and in the New South Wales Registry, Australia. In addition to the latest iteration of Apple's popular smartphone, Samsung is also seeking injunctions on sales of the iPhone 4 and iPad 2 in Japan. Interestingly enough, the reasons for the potential injunctions are not the same in each country. According to the report, in Japan the suit revolves around infringements in technology and user-interface, but in Australia they are in regards to patents for wireless telecommunications standards. This follows the latest round that saw Apple win an injunction on sales of the Galaxy Tab 10.1 in Australia just last week. All of this is coming in the days before it is expected that Samsung will announce that 50 percent of its operating profits from the third quarter came from its mobile division, a first for the company, and would see the company surpassing Apple in sales. This just serves as a backdrop as to why all of these parent suits have been flying fast and furious between the two tech giants as of late as each jockeys for position in the mobile space. Despite all the seeming animosity between the two companies at the moment, an Apple parts supplier based in Korea told The Korea Times on condition of anonymity, "Apple has been in talks with Samsung over shipment of its A6 quad-core mobile processor chips to be used in the next iPhone. 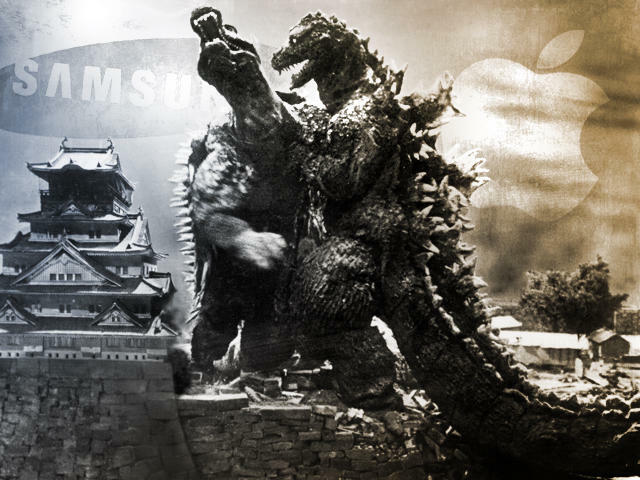 It appears that Apple clearly has concluded that Samsung remains a critical business partner." So, no matter how much the two companies may be duking it out in the courts Kaiju-style, it seems that at the end of the day the two companies realize there is money to be made from working together at certain times. What do you think? Has the patent war between these two companies gone far enough yet? Is it time for them to just find a way to settle all of the fights at once?